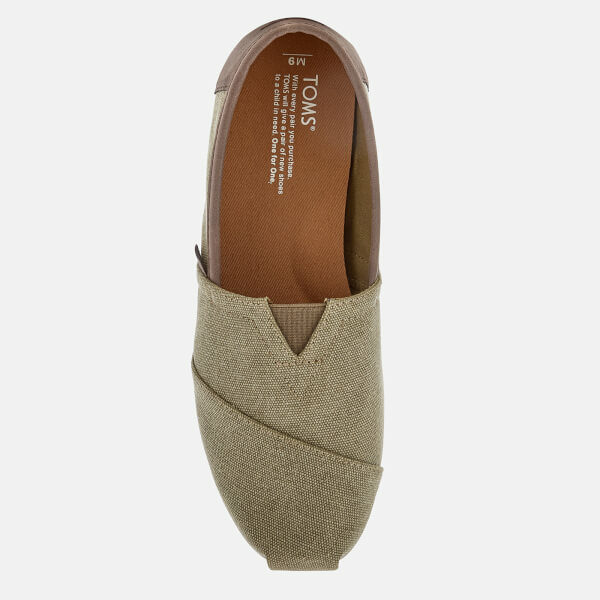 Men's slip-on pumps from TOMS. 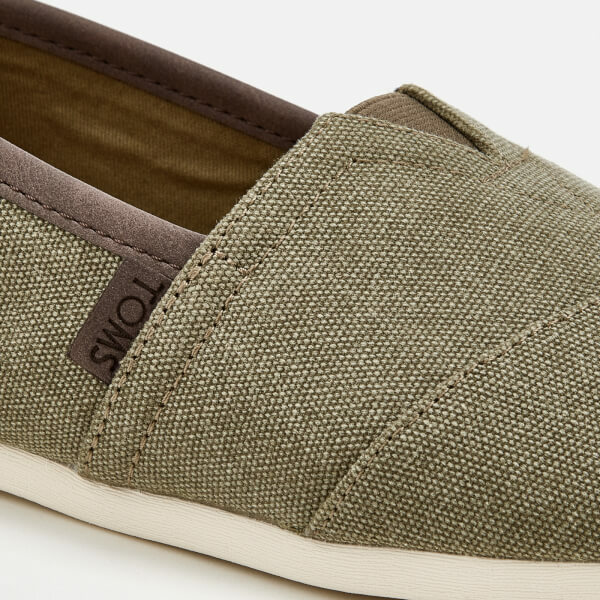 The vegan 'Alpargata' shoes are crafted with washed canvas uppers and attributed with the brand's signature exposed stitching across the toe and V-shaped elasticated insert to the vamp for easy dressing. 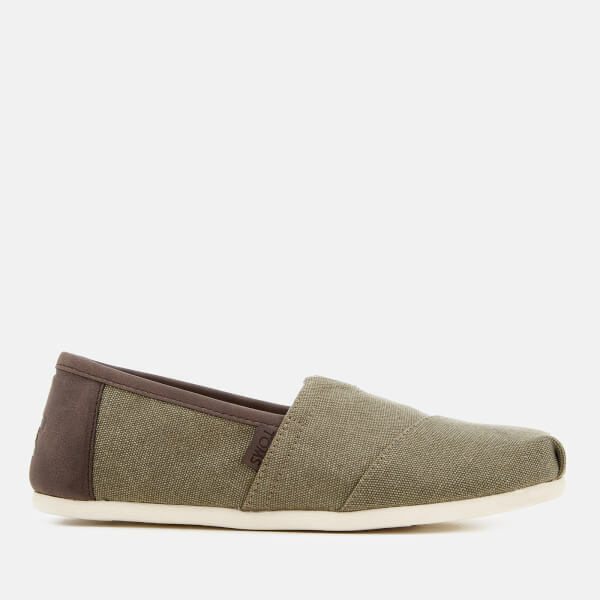 The pumps are built with a moulded footbed and removable insole, and are set upon a rubber outsole for traction. 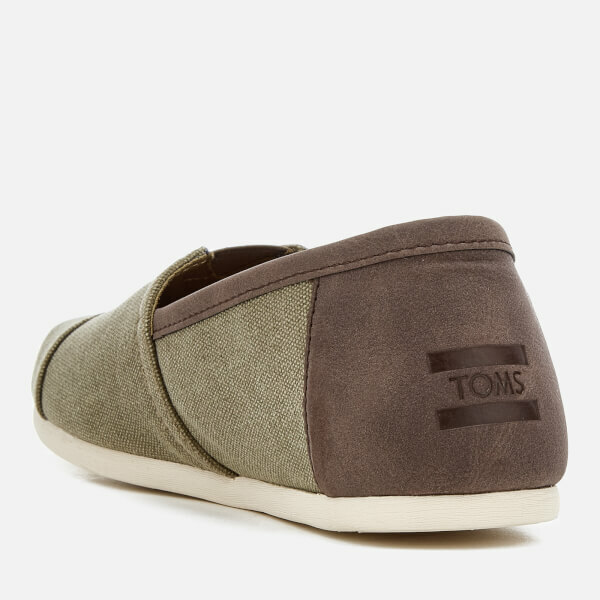 Complete with iconic TOMS logo to the outside foot and heel.